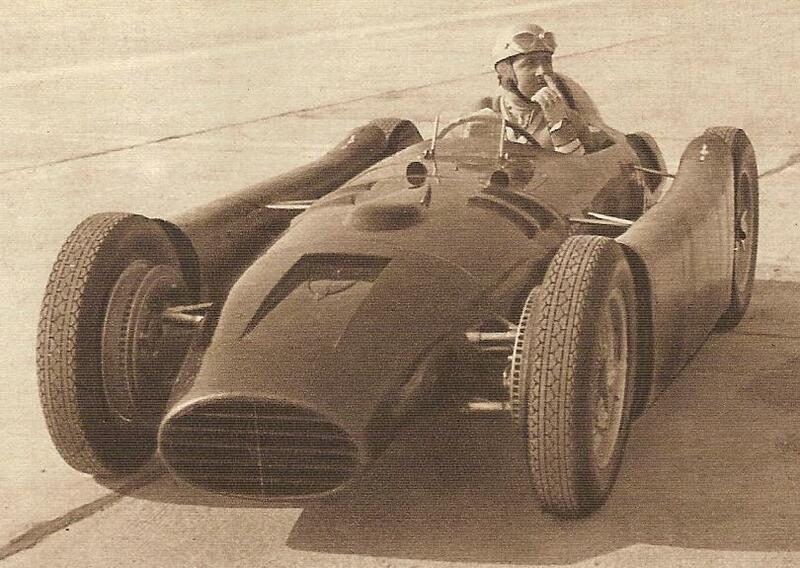 a Grand Prix car, the D50, running from 1954-1955. 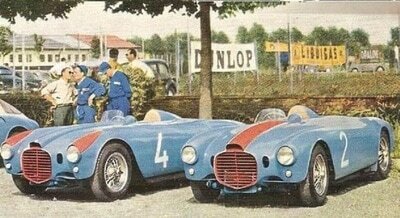 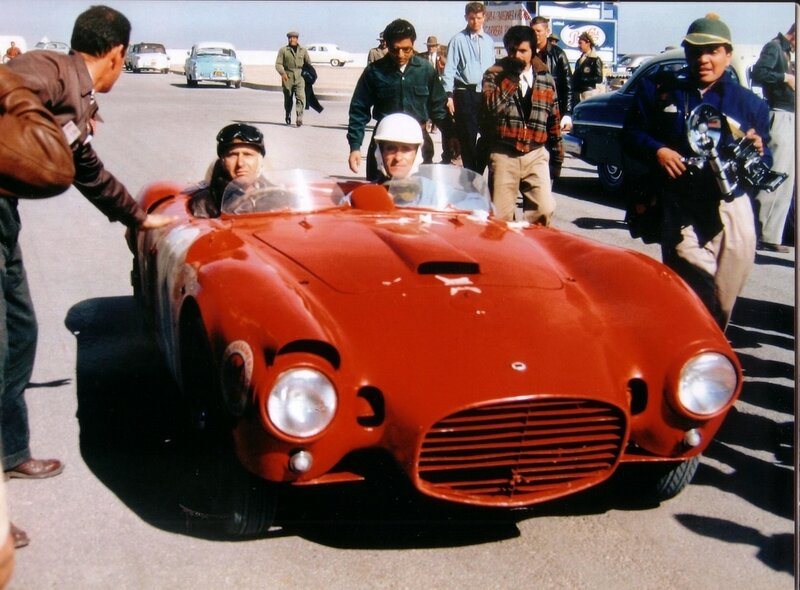 The D24 was a remarkably successful car, winning practically all the races of the time, including the Targa Florio, the Mille Miglia, the Carrera Panamerica. Had Lancia stopped at this point, and made more of these cars for sale, their future story would have been very different. 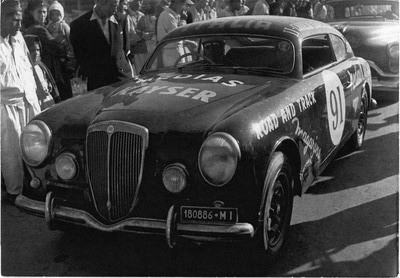 Shown above is the Lancia team at the 12 Hours of Sebring in 1954. 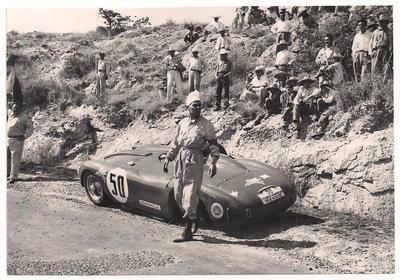 By the 11th hour, the Lancias were over 1 hour ahead of the competition, only to be felled by failed bearings in the last hour. 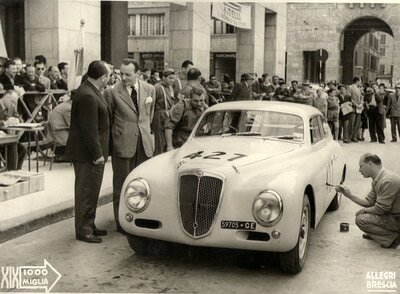 The race was won by an Osca with Lancia finishing second. 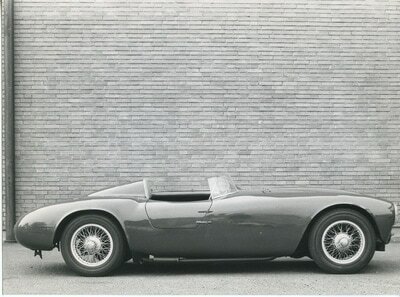 Attention then shifted to the radical and complex D50 Grand Prix car, which featured an angled engine mounting to get a lower driver, and side pontoons to stabilize handling as fuel was used up. 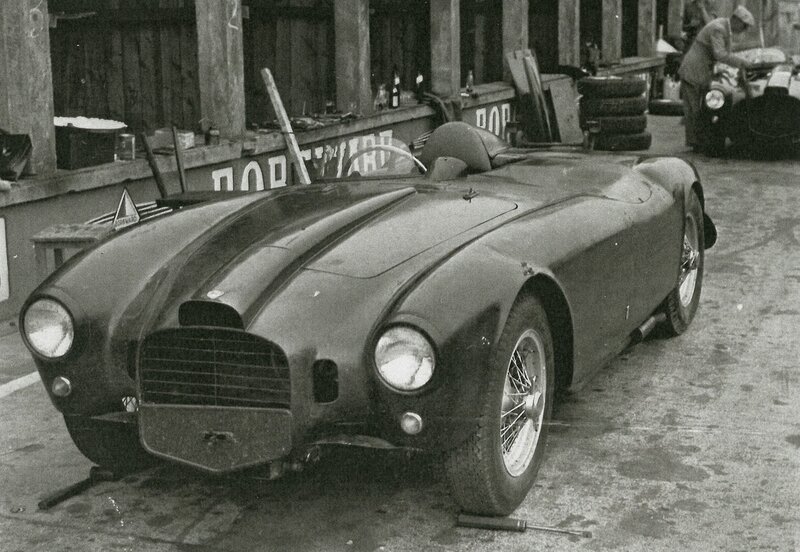 While the car was quite fast, the factory simply had overreached and it was too much to develop. 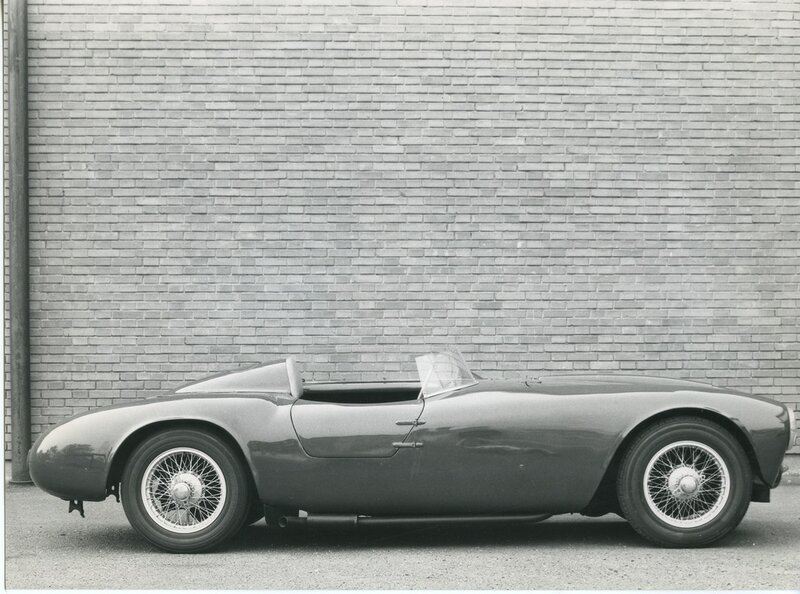 By 1955 factory resources were stretched thin. Sales could not support both the racing effort and the new building (a tower for all the admin and engineering staff), and the company was running out of money. The racing effort was closed down in mid-1955. 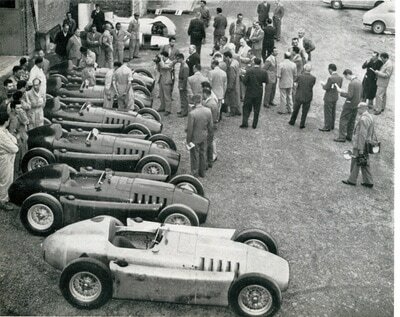 The D50 cars were , however, the leading Italian effort at the time, and the cars were oddly handed over to Ferrari, who won the world championship with them in the following years.